Address: 104 Pedlar Street, Galle Fort, Galle, Sri Lanka. 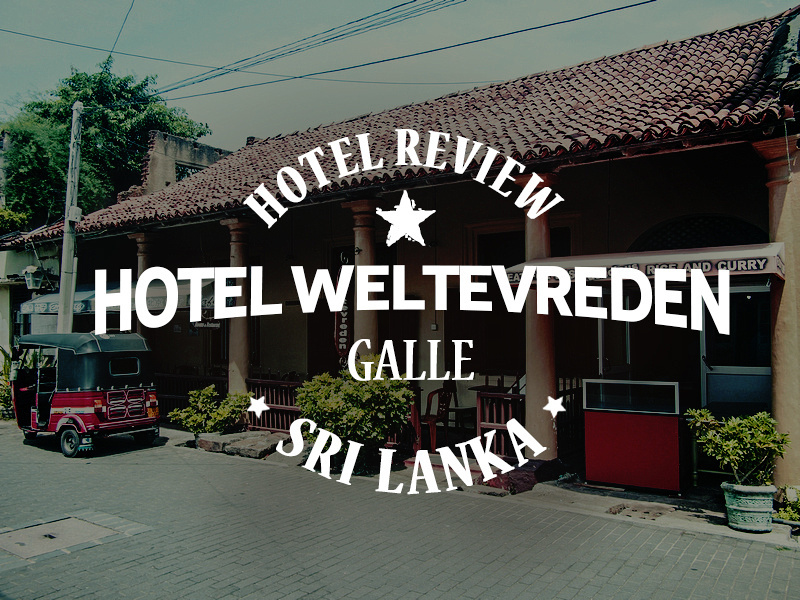 I stayed at the Hotel Weltevreden in Galle, Sri Lanka. I booked online via Agoda and booked it for its location within the historic fort area. As it turns out the fort is fairly small, so anywhere you stay within the fort is going be be in a good location. I did like the location of the Weltevreden though, being one house away from the fort wall on the west side. The hotel is in a lovely heritage building but my room was somewhat run down. I had an uncomfortable mattress and the walls were grubby. There were also gaping holes in the flyscreens on the top windows so I had mosquitos at night. There is a mosquito net at least. I had wifi in my room no problem, but being an old property there was only one power outlet. With a bit of maintenance this would be a great budget guesthouse. Not that I would want to have a total makeover; there is enough of that going on in Galle with old properties turned into fancy boutique digs. Just a paint-job, new mattresses, and fix the gauze on the windows. You can book the Hotel Weltevreden online or search for more hotels in Galle.